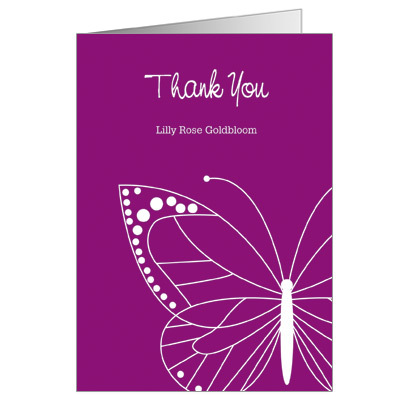 Bright and fun, this personalized butterfly Bat Mitzvah thank you card is sure to stand out. Your message is at the top, with a delicately outlined butterfly at the bottom against a bright fuchsia background. Folded card measures 3.5x5.